Coat of arms of Popiels was Sas. Later, a branch of the family started using another coat of arms called Sulima. 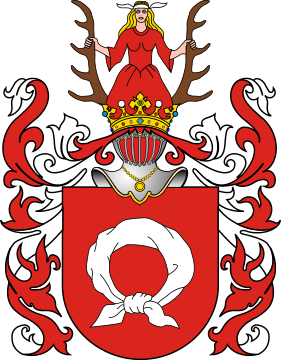 There were also Popiels who were using Nałęcz coat of arms.